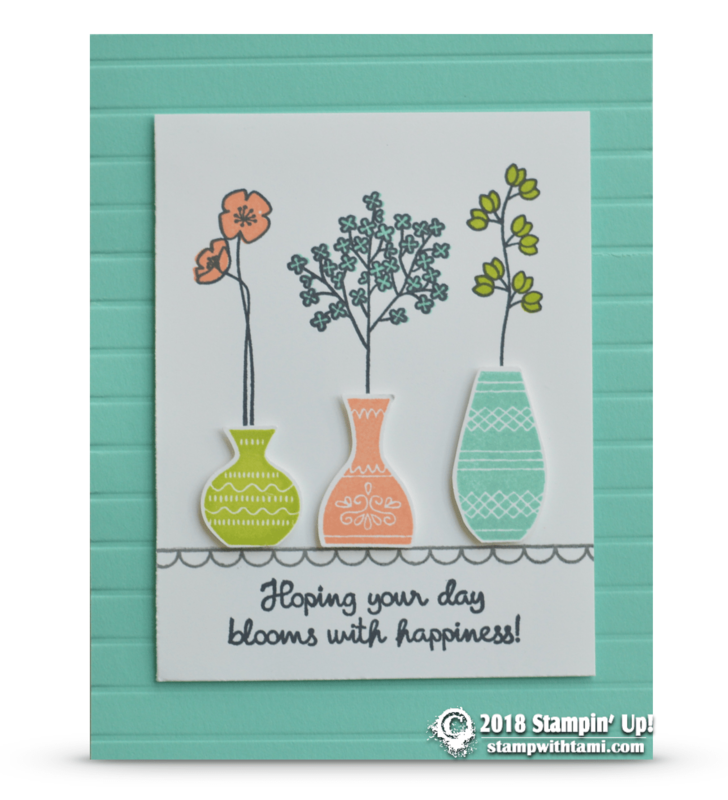 “Hoping your day blooms with happiness” fun card from the Stampin Up Varied Vases bundle (stamp set and punch). The colors are bright and fresh and new. Flowers are colored with Stampin Write Markers. The background is textured with the Simple Stripes Folder.